Give a change in standard of living is a big decision in everybody life. It is a step relating the happiness of your family members; where all aspects contributing to a peaceful life can be gathered in one place and with no difficulty. We believe that Hero Alaknanda Plots has just the ideal mix of the whole thing you require to renovate your lifestyle. Hero Alaknanda Plots with cityscape not only offers great eye catching views but also passes wafts of fresh air into your residence. The quiet and peaceful surroundings indicate you to relax. Situated on NH - 58 (Delhi – Dehradun highway) opposite to the Patanjali Yogpeeth, this residential project is one of the few places on the point of the city, which has still managed to preserve Nature's bounties. Excellent location is the high point about living in Hero Alaknanda. Surrounded by well-developed regions and has the plus point of superb connectivity to Delhi NCR. This residential plotted community comes to you from Hero Realty, a name trusted for excellence in construction. Modern elevation, excellent master planning and thoughtful placing of facilities welcome you to an address with contemporary facilities and services. The 90 - 261 sq. 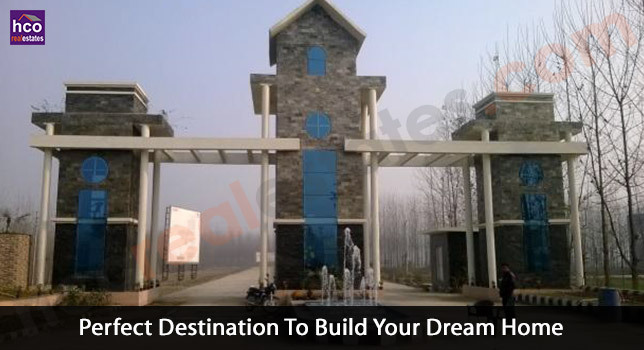 yards residential plots having top-of-the-line features, offer you all and a relaxed & happy life. Hero Alaknanda Plots is planned specially with the objective of maximum comfort and perfection in services. Keeping in mind the natural elements, these independent plots spare no detail or cost in creating the essence of lavishness and convenience. Take it easy assured that the pollution and traffic would be a far dream. Sit back and get pleasure from a lifestyle that is clean, green and truly, special. Amongst a host of amenities comes a 2 acre central park and park in every block, Haridwar’s first free hold community, nursing home, shopping complex & school. So rest assured, Hero Realty believe in gifting you the best. And live a life that is actually global!